HBO’s Miss Sherlock, a modern-day twist on the iconic detective, is coming to TVs around the world. The series marks the premium cable channel’s first Japanese original production. You can check out the Miss Sherlock trailer below! Miss Sherlock pays homage to the classic by Sir Arthur Conan Doyle, Sherlock Holmes, with bold interpretations of the iconic characters, Sherlock Holmes and Dr. John Watson. Miss Sherlock is set in modern-day Tokyo and both lead characters are Japanese women – Dr. Wato Tachibana, a surgeon recently returned from a volunteer doctors’ mission in Syria and Sara Shelly Futaba, an investigation consultant to the police department who solves bizarre and difficult cases. Throughout the series, the pair solves mystery after mystery with Miss Sherlock’s extraordinary observation and reasoning skills. The series stars Yuko Takeuchi as Sherlock, Shihori Kanjiya as Wato, and Ken’ichi Takitô as Inspector Reimon. 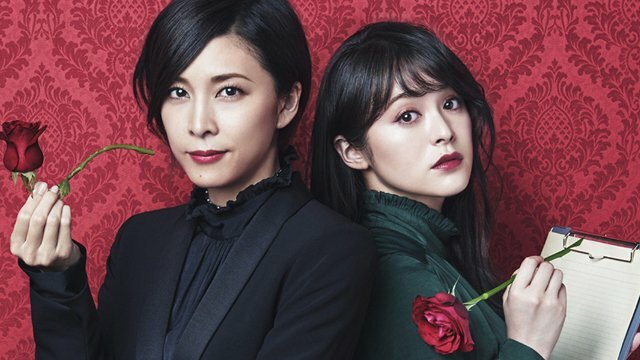 Miss Sherlock is a co-production between HBO Asia and Hulu Japan. New episodes will be available every Friday morning. The post HBO’s Miss Sherlock Trailer for its First Japanese Production appeared first on ComingSoon.net.